I am on the shore of Lago Buenos Aires, in front of a crackling fire at Hosteria Antiguo Patagonia on a beautiful Autumn evening in Los Antiguos. At a southern latitude equal to Quebec City in Canada, it was 70 degrees (fahrenheit) today, one month into Argentina’s Autumn, but the fire feels nice now that a breeze off the lake chills the air. After a 250 mile, 13-hour bus ride from El Chalten, through the near-desert steppe of Patagonia, on an unpaved section of Argentina’s legendary Ruta 40, entering this oasis of alumina trees (cousin to poplar), cone laden pines and the startling blue of Lago Buenos Aires was welcoming. It doesn’t matter what you read, reality is always more intense. Los Antiguos is one of the lucky regions on Earth, a microclimate - areas that possess an environment warmer than they deserve given their latitude and/or altitude. In Los Antiguos’ favor this means a rich agricultural area for fruit with dozens of profitable farms. 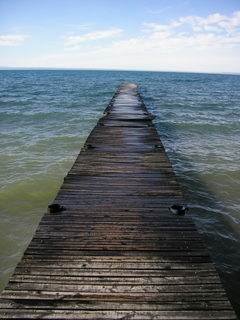 Being on one of the nation’s most beautiful lakes, Lago Buenos Aires, certainly doesn’t hurt. Yet it was not the Spanish that first discovered the mild climate of this region. For centuries this lake shore was the Florida of the Tehuelche culture. I-Keu-khon (Place of the Elders) was, quite literally, the ancestral retirement home for Tehuelche senior citizens. A mere four miles from the Chilean border, in the foothills of the Andes, at an altitude of 700 feet, Los Antiguos is the cherry growing capital of Argentina. In January they celebrate with the Fiesta de la Cereza (National Festival of the Cherry). In October, their cherry blossoms blanket this village of 2,500 people. The summer season sees the population swell filling the modest number of accommodations in town with visitors from Argentina and Europe but less than 1% from North America. Having visited a number of beautiful Argentine towns, I am surprised, but not disappointed, that Los Antiguos isn’t more developed for tourism. I saw only a small number of lake-side summer homes. 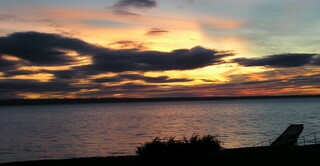 The Hosteria Antiquo Patagonia is the only hotel on this vast lake. 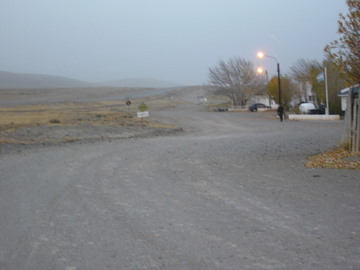 There is one road into the village from the closest Ruta 40 town, Perito Merino, making it not as attractive to tourism. 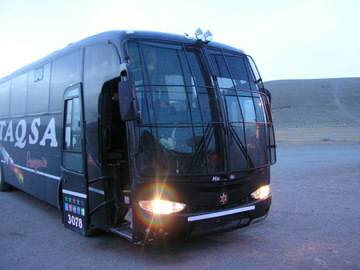 From mid-May through September (the Andean winter) nearly everything related to tourism closes. Yet its climate remains moderate with winter temperatures rarely falling below freezing and summer topping out at 80 degrees. 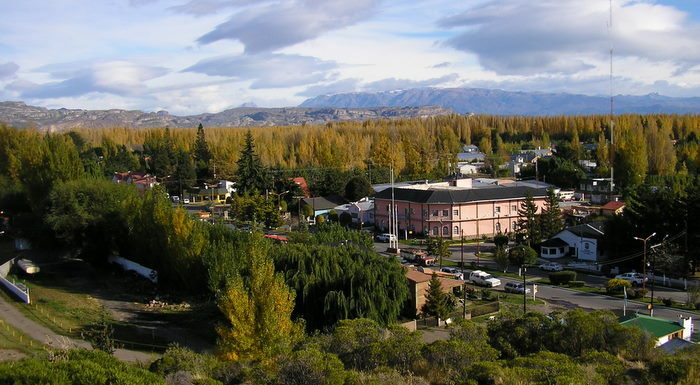 It’s a paradox because Los Antiguos is a retreat, but, if it was like El Calafate, it wouldn’t be a retreat. There are no dramatic mountains to trek, and though I’m told there are some good restaurants open in the summer season, what was available now was nothing to write about - acceptable but not exciting. Yet there’s the peace that I would look for if I were a busy Buenos Aires professional who desired a mid-winter escape in front of a crackling fire on a beautiful lake. But you know what’s said about having fantasies fulfilled. From September through April, you can visit the farms, the chacras, and I had the great pleasure on this beautiful Autumn day of having a personal tour of Chacra Don Neno.